The polyester interior of the Peregrine Radama 2 tent is breathable and spacious for a two-person tent. It also requires proper care before storing for the winter season. 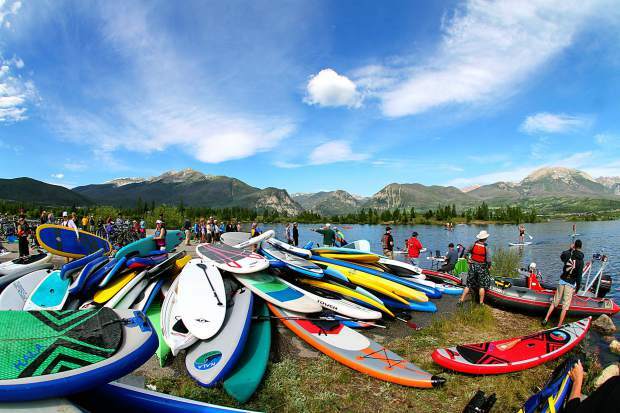 The SUP pile at the 2015 Frisco Triathlon on Lake Dillon in 2015. This season, SUP manufacturers have experimented with larger decks and more features, including boards made specifically for fly-fishing, and all require proper storage to extend the product's life. 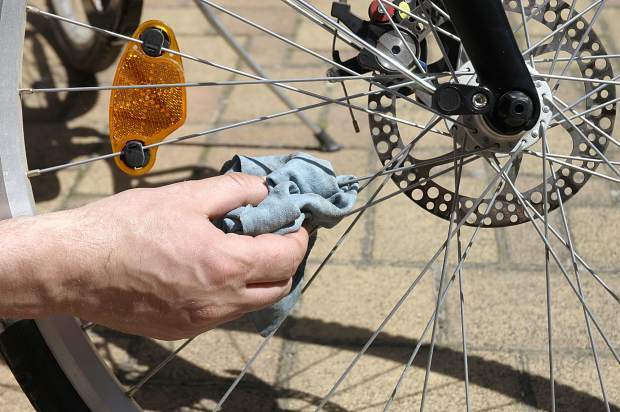 Bike maintenance is vital when switching from summer to winter sports. Check your drive train and all components for rust before storing in a warm, dry place if possible, or store outside under a heavy tarp to protect from snow. Modern tents are made to take a beating, but they aren’t made to survive negligence. Mike Gawin, co-owner of Mike’s Military Surplus in Silverthorne, gives backpackers and car campers alike suggestions on how to extend the life of your abode. • Tent shells — After cleaning, sealing seams and checking the ties and removing knots, pay particular attention to the attachment point straps, grommets and clips. These are the crucial stress points that ensure the integrity of the tent when set up. Repair, reinforce or replace any frayed or cut straps and check the attached material for stress. • Hole repair — I’ve used a good-quality duct tape for cheap and effective repairs. Wherever possible, patch from both sides of the hole. Be sure to use circular patches by trimming to size and shape before applying. Square or rectangular patches always begin to peel up at the corners and, before you know it, the entire patch is loose. • Tent poles — Most modern poles are shock-corded. This makes keeping the right pole sections together simple and aids in set-up, but sooner or later the shock cord is going to become fatigued and loose. You can replace these, but it really isn’t necessary. Check all the ends of the poles and make sure the hollow poles (or ferrules) are not blocked or deformed. Check the caps on the attaching pole for damage. Inadequate seating and fit could result in a middle-of-the-night or middle-of-the-storm failure and collapse. • Pole repair — Both metal and fiberglass poles can split. Both can be temporarily patched in the field with duct tape if they haven’t completely failed, but both will need to eventually be replaced. Metal poles are easy: check for splits, kinks or dents. With fiberglass, flex the poles (easier with two or more sections connected) and inspect by sight, feel and sound by flexing, rotating one-quarter, flexing again and repeating twice more. Look for bulges in the pole and listen for any loud grating sounds (some grating noise is normal). With the pole flexed, slowly run your fingers along the poles lightly, feeling for graininess. They should be smooth, but be careful — fiber splinters are a real pain and difficult to remove. As usual, duct tape helps. Last October, as the first few snowflakes were beginning to fall, you ran out of storage space in your cramped two-bedroom apartment. The one place left for your mountain bike: beneath the wood balcony in the shared backyard. And then the snow came — and came, and came. Your bike was sheltered from the worst of it, but after six months of freezing, thawing and blowing snow, the drive train was rusted and the suspension needed a rebuild. So long, $300. Take it from the experts at Rebel Sports in Frisco: there’s a better way. Common sense or no, taking care of gear between summer and winter can be tricky, even if you have enough warm, dry storage space for everything. 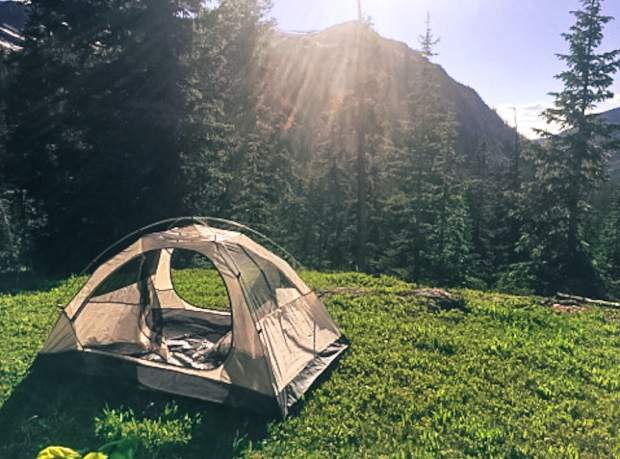 Along with proper storage, experts across Summit County recommend taking simple steps to prep your summer gear — bikes, kayaks, stand-up paddleboards, tents, sleeping bags and the rest — for anything Old Man Winter can throw at it. Proper storage in Summit County can be tricky — it doesn’t help when the winter gear closet is the same as the summer gear one — but it’s the best and easiest way to protect your investment, Hufnagel and Gawin said. For bikes and just about everything else, it begins with a warm and dry storage location. If a garage or closet isn’t available, then the next-best place is a protected area outside: beneath a patio, in a shed, inside of an RV — anywhere it won’t be directly exposed to the elements. No matter where outside, Hufnagel suggests covering your bike with a heavy tarp to ward off snow and sun exposure. Before storage, Hufnagel recommends a quick tune-up at home or through a bike shop. Clean the frame, check the tires (don’t deflate), and then clean and lightly lube the drive train, including the chain and gears. The goal here is to avoid rust and elemental damage, as well as clear off road salt and magnesium chloride from an extended fall in the saddle. For mountain bikes, Hufnagel also recommends checking the suspension and, if needed, rebuilding your fork. Seal kits and oil tend to be more affordable in the off-season. In the same vein as bikes, equipment like kayaks and rafts and SUP boards do best in a warm, dry area. Inflatable models don’t have to be deflated, but if there’s no other way to store it, fold the gear as loosely as possible to avoid stress cracks. “If you’re able to do that, that’s really the best because you won’t be getting creases in the rubber,” said Matti Wade, owner of Ten Mile Creek Kayaks in Frisco. Along with stress cracks, mold can also compromise the integrity of watercraft. Be sure the craft is completely washed and dried before storing, he said. The same goes for softgoods like drytops and PFDs. For kayaks with a hard shell, Wade said outside storage is fine. But, again like a bike, don’t leave it anywhere snow will pile up and damage the material. It’s also important to keep an eye out for new, fuzzy homeowners. Camping gear — think things like tents, backpacks, stoves, boots and more — gets just as dirty as the rest. Before stowing for winter, clean everything and, again, make sure it’s dry to prevent mold and deterioration. This is easier than it sounds, Gawin said. Similar to outerwear, Gawin suggests first reading the care label before washing or treating camping gear. Some detergents and even waterproofing agents can harm fabric, he said, and a care label often lists them all. Beyond the basics, Gawin also suggests checking all equipment for integrity, including straps, buckles, laces and seams. Beeswax is a “natural alternative to seam sealer,” he said, and recommends melting it with friction to treat seams. For ropes, proper coiling technique is key. Gawin points to the “Boy Scout method” from lifehacker.com. Begin with a completely straight rope, bend down to your left knee, and with the right hand pull the rope out to the right side. Let the extended section drop to the ground and repeat, creating loops simply by pulling with one hand — not by twisting around an elbow that creates kinks.